We believe in quality dentistry and affordable fees for all our patients. What is the first thing you think of when you need to go to the Dentist? Is it going to hurt or be uncomfortable? How long is it going to take? Why do I need my teeth cleaned every 3-6 months? Is the Staff friendly and caring? Will the Doctor understand what I want? What is the cost? Many questions go through the minds of our patients, when they make their initial appointment to come to our office, and we hope to answer many of your questions on our website. Dr. Masera has been in Practice for over 30 years and at the Hillcroft location for over 20 years. Dr. Masera believes in quality dentistry and affordable fees for all his patients, and he offers complimentary consultations to answer questions for patients anticipating cosmetic dentistry, Invisalign treatment or any type of comprehensive dentistry. It is very important for our patients to feel at ease and understand the procedures they are interested in having. All treatment is explained before it begins, and our office works with most PPO insurance companies. We will estimate the patient’s portion and wait for the insurance company to reimburse our office. Our goal is to make the process as simple as possible for our patients. Your first visit usually consists of a thorough examination and records, so we can develop the best action plan for you. We want to listen to your concerns and address them with you on your first appointment. From there we will be as efficient with your appointment times, as possible, so you can take as little time as possible away from work and school. On the following pages you will find information about preventive care, periodontal disease, teeth whitening, straightening teeth with Invisalign, porcelain veneers and crowns, and tooth colored fillings along with root canal therapy and removal of teeth, when necessary. 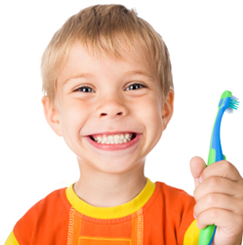 Our office also sees a lot of Snap-On-Smile patients and Six Month Smiles patients. Don't forget to check the dental specials page too. Enhancing Smiles in the greater Houston Texas areas including Meyerland, Southwest Houston, Missouri City, Stafford, Sugar Land, Bellaire, Meadows, Mission Bend, Gulfton, Briargrove, Sharpstown, Fort Bend, WIllowbend, Braeswood, West University, Rice, Hunters Creek Village, Piney Point Village, Westwood, River Oaks and more. Copyright © 2009-2018 Michael D. Masera, D.D.S. All Rights Reserved.